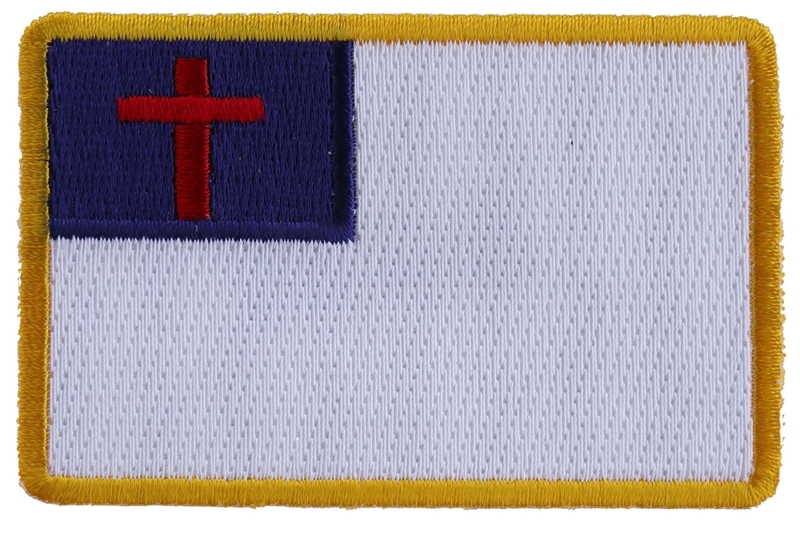 Christian Flag small patch measures 3x2 inches. The patch is embroidered in colors of White / Blue / Red / Yellow. Iron or sew on this patch to your clothes. We ship today! The embroidered patch can be sewn or ironed on. Please refrain from ironing on patches to leather or nylon materials. The thick die cut borders on our patches make them easy to be sewn on to leather or nylone jackets and vests when ironing on is not an option. 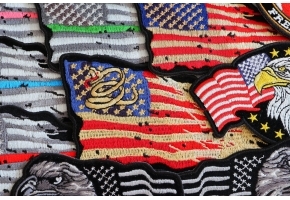 You may also purchase these patches for wholesale by opening up a wholesale account with us.